The Pujo hanging wardrobe made of powder-coated metal and black lacquered ash wood from ferm Living convinces with its simple yet fascinating silhouette, making it a functional and aesthetic piece of furniture. The clear lines and geometric shapes create a modern look, so that the wardrobe integrates perfectly into the hallway or bedroom. There it is suitable for hanging jackets and coats or can serve as an alternative to the wardrobe. The wardrobe is also space-saving and compact so that it can also be used in smaller rooms or narrow corridors. The hanging wardrobe is made of powder-coated metal and ball details of black lacquered ash wood. 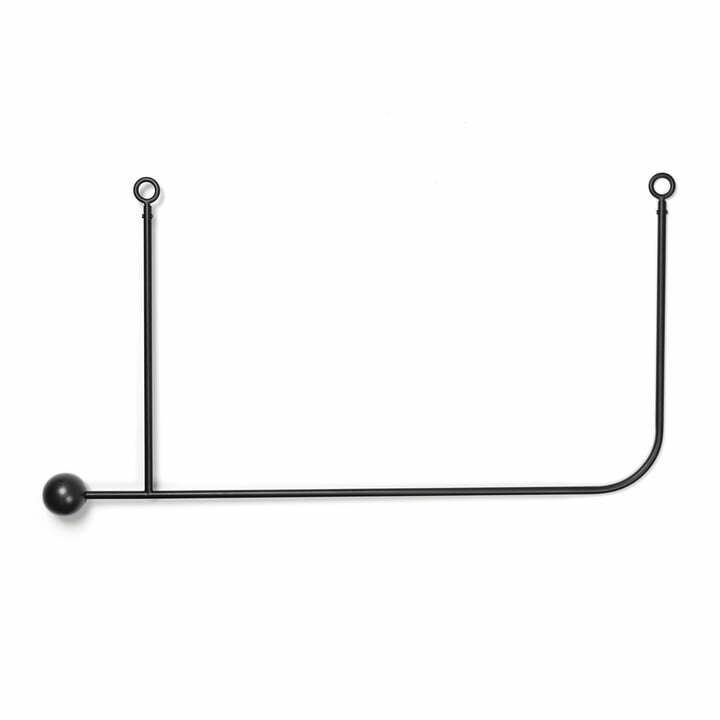 Hooks or coat hangers find a place on the wardrobe, which is of course height-adjustable in its suspension. Scarves, chains and the like can easily be wrapped around the poles. And the best thing: Under the wardrobe there is enough space for shoes and more thanks to the ceiling suspension. 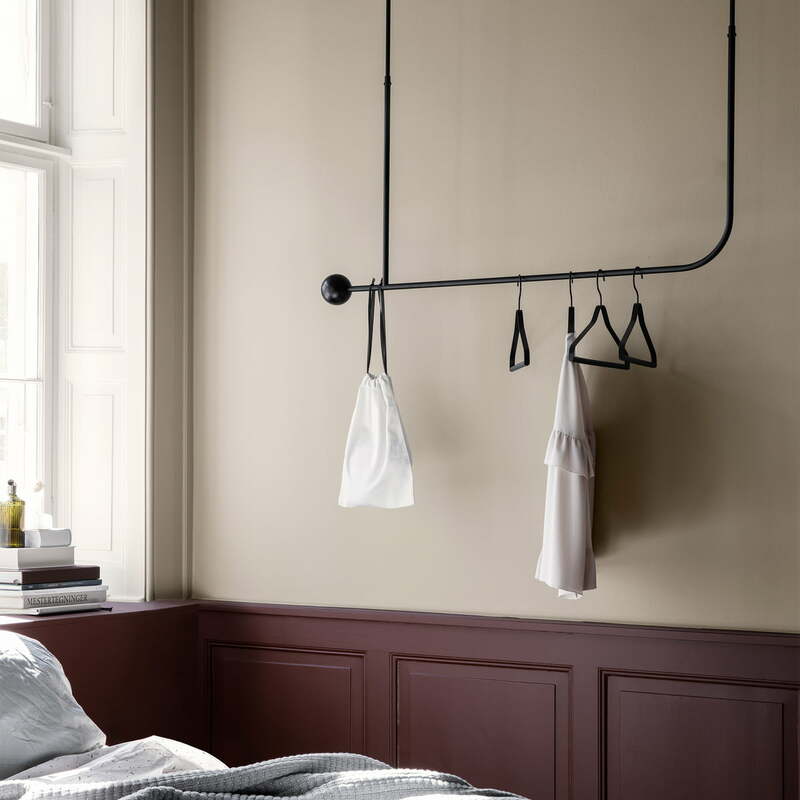 In addition to the suspended coat rack, the ferm Living series also includes a wall shelf and a wall wardrobe. The Pujo hanging wardrobe made of powder-coated metal and black lacquered ash wood from ferm Living convinces with its simple yet fascinating silhouette, making it a functional and aesthetic piece of furniture. The clear lines and geometric shapes give the wardrobe a modern look, which makes it a great addition to corridors or bedrooms, where it can be used to hang jackets or coats or as an alternative to wardrobes.